This is where Ichiro and Hideki Matsui caught people's attention for the first time. Why do you go to a live sports game? Is it solely for sport? Some says it's for beer under the blue shiny sky, the others say it's for cheering, or a sense of unity. 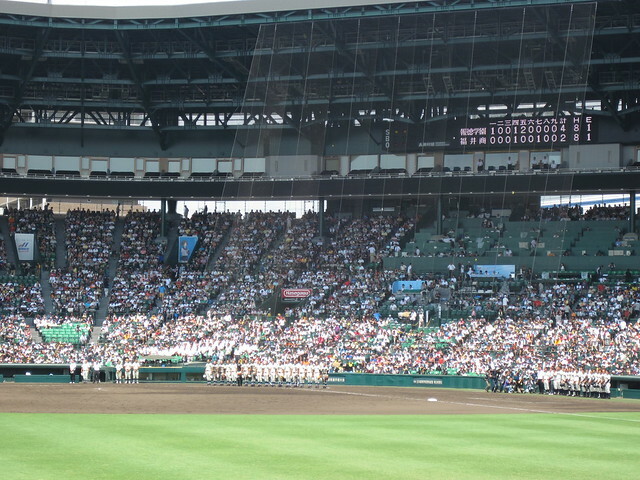 National High school Baseball Championship is one of the sport venues in Japan that exactly fits into this category. It's not just baseball ---- it's drama. 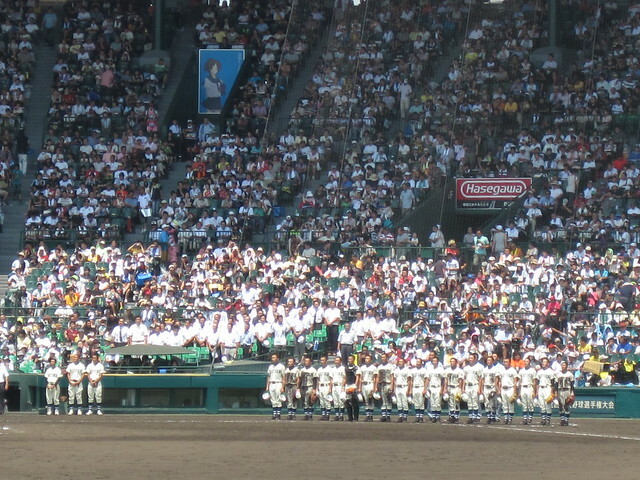 Players, lined up before the game. 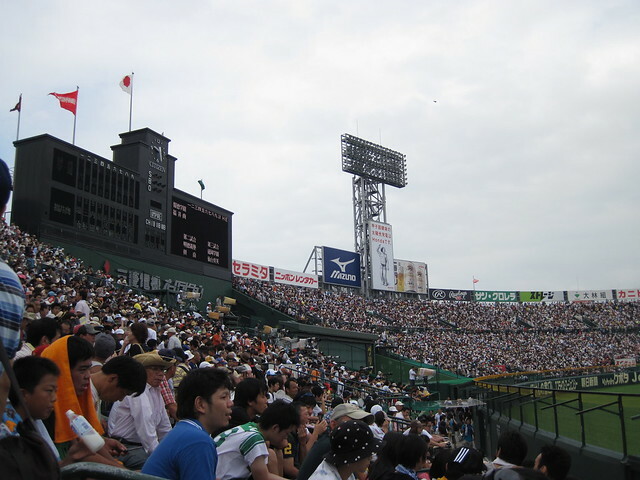 With its 92 years of history, it's held every summer in Koshien Stadium, a suburb of Osaka and Kobe. The quality of the play -- regardless to say, isn't a professional level, but what's so amusing is cheering by each school's cheering group. An entire cheerleading club, brass band, some alumni, and students get together at a designated area of the stadium. When the supporting team is in offense, the whole cheering party blasts their cheer-songs with each hitter's name. 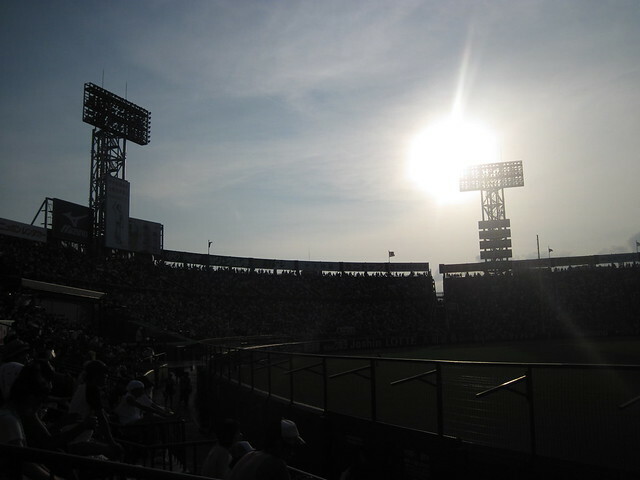 A high school baseball in Japan tends to be associated with gut and a spirit of "never give up". This is because the players needs to practice day and night-all day to win the preliminary within the prefecture to be a representative for the championship. Because of this never-ever give up mind, even a team is losing 10-0 in the 9th inning, the cheering never stops (In fact, it becomes louder). This is some thing that strikes spectator's heart. Also, it is a gateway to a professional baseball -- Ichiro from Seattle Mariners and Hidekazu Matsui from Los Angeles Angels of Anaheim, and many other professionals caught their attentions from here. It may be just a high school baseball, but it's more thant what it looks. Be there, and feel it. As long as you know the rules, no language necessary. Starting from early August to the end. 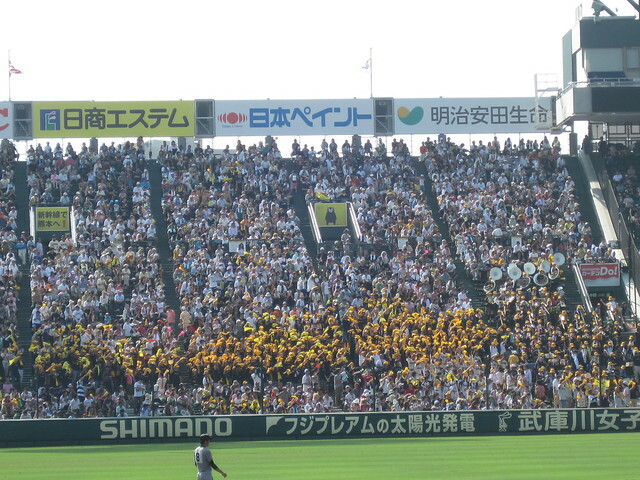 If you need assistance on visiting Koshien for the championship, contact EDGY JAPAN.